Is it possible anyone could tell me any further information regarding the image below? 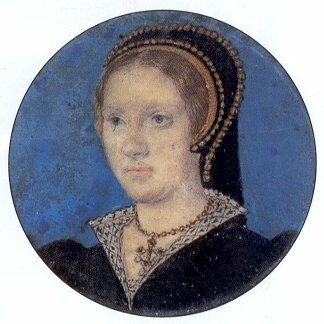 The miniature has been published online as a miniature portrait of Katherine Parr however there doesn't appear to be any further information regarding where the image came from, its current owner, and how it got its identification? I have searched the Heinz archive in London with no luck and would appreciate any assistance with this. The only documentation I've seen about this miniature (from the Edward Grosvenor Paine Collection)is in: Roy Strong, 'The English Renaissance Miniature' (London: Thames and Hudson, 1983), pages: 37, 38, 190, 199, 200). Sorry for late answer, but I think that looks like a Hilliard to me.